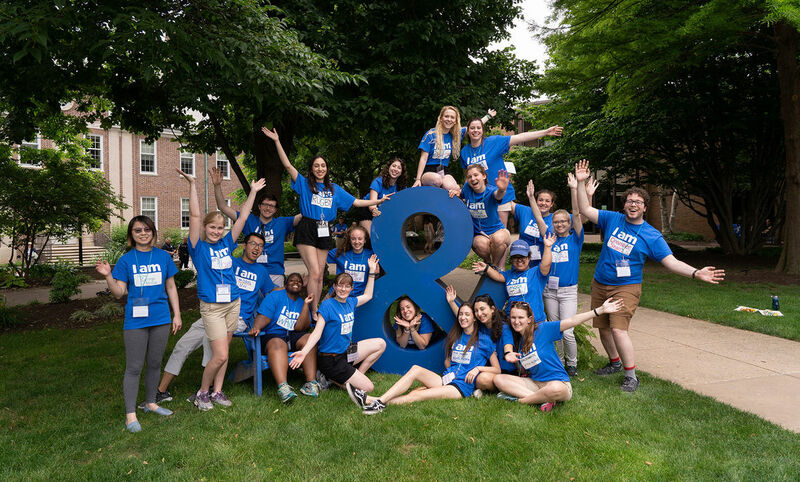 Student ambassadors in blue T-shirts populated the campus of Franklin & Marshall College, ready to welcome more than 1,200 alumni, family, and friends back for the 2018 Alumni Weekend. Among them was Kim Fermano ’21 of Blackwood, N.J., waiting to answer questions and transport alumni from one event to the next by golf cart. “It’s cool to interact with alums who were once where we are now. One said how grateful he is to F&M for everything he gained in and out of the classroom,” she said. 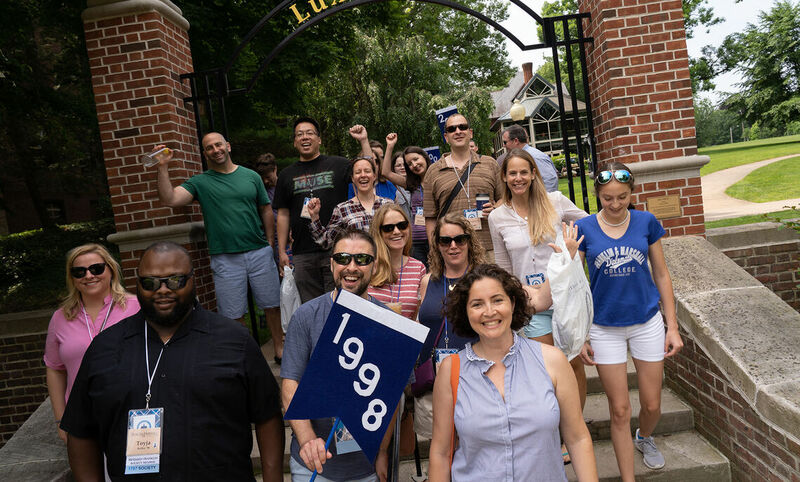 All alumni were invited to attend the June 8-10 weekend alongside graduates from classes ending in ‘3’ and ‘8’ celebrating their reunions. 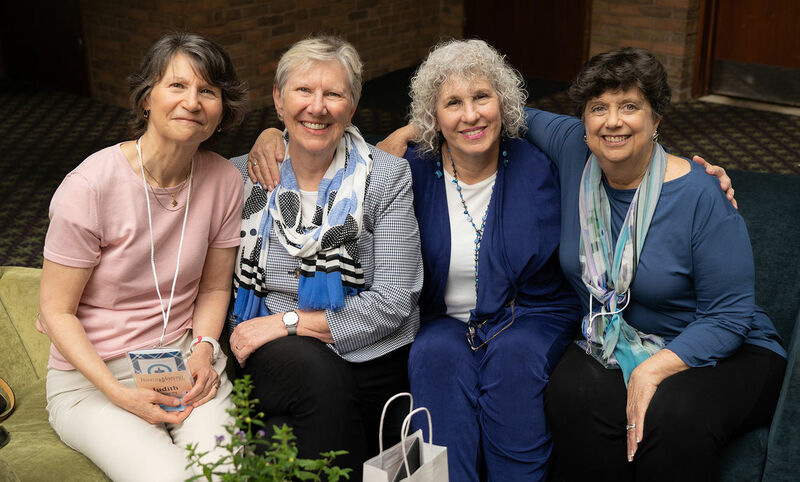 The class of 1968 gathered Thursday night for a 50th reunion social, and the rest of the weekend festivities kicked off on Friday with Alumni College presentations, which allowed alumni to relive their days in the classroom through a series of academic presentations highlighting the current curriculum of F&M faculty. 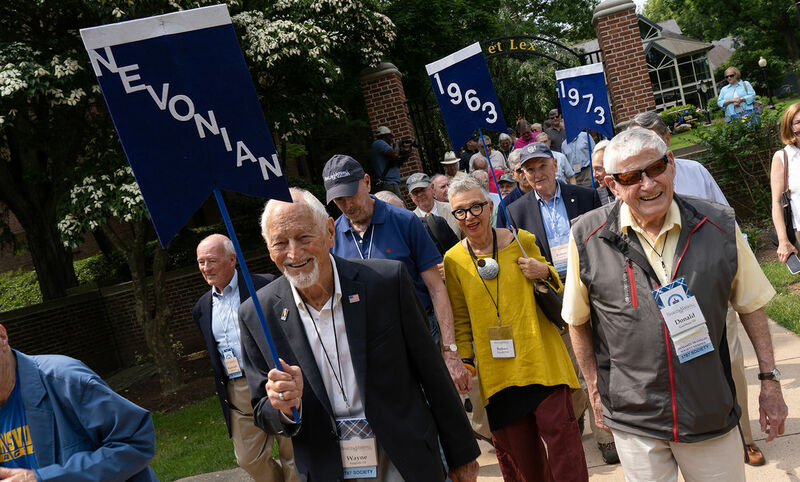 The main celebrations filled a busy Saturday, starting in the morning with the 38th annual Nevonian Society breakfast, where the Class of 1968, as with every class that celebrates its 50th reunion, was inducted into the society. The Nevonian Medal was awarded to William H. Curtis ’61 for his distinguished service to the College. Curtis has served on the F&M Alumni Association Board of Directors and has volunteered with the F&M Admission Network and with the Office of Student and Post-Graduate Development, mentoring several students. “It’s been a long road, but it’s been fun,” he said. He is third in a line of F&M graduates, following his father, who graduated in 1929, and his grandfather, who graduated in 1898. 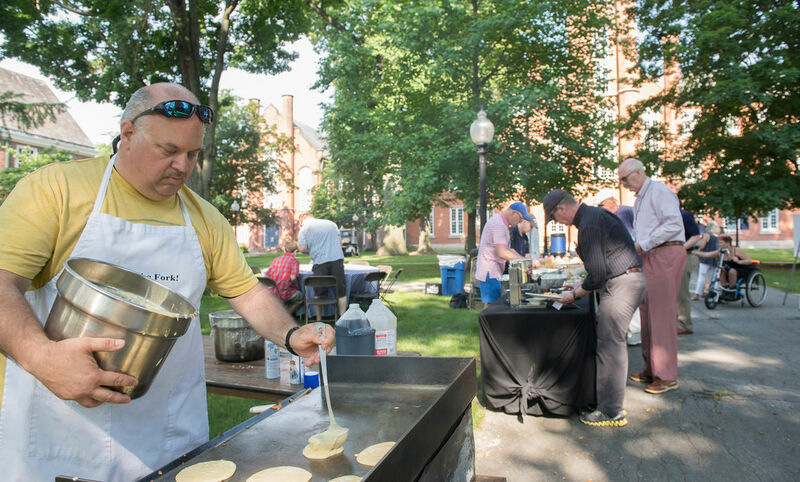 The Alumni Association Board hosted Flapjack Fest on Manning Green as reunion year alumni lined up for photos with their class, including interim president Eric Noll ’83, P’09, who celebrated his 35th reunion with classmates and friends. 2013 graduates Amanda Loh and Chris Neuhaus returned to Lancaster for their fifth reunion and reflected on their time at F&M. 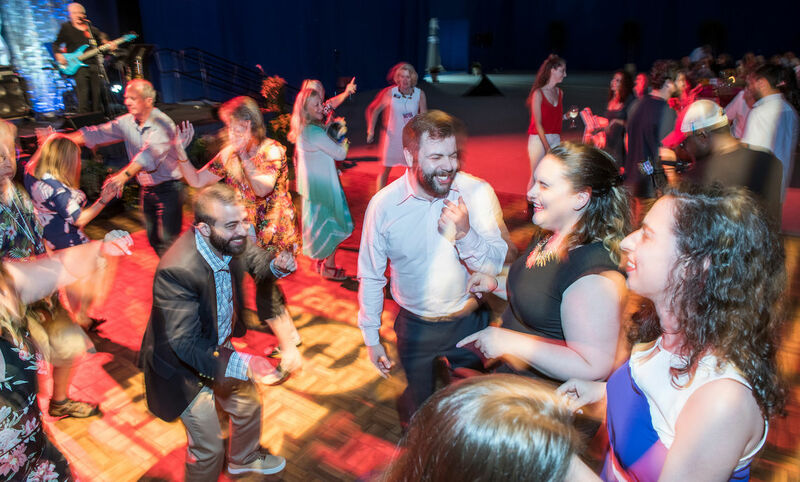 “When I was looking into graduate programs, it was exciting to hear professors say that anyone who went to a liberal arts college is at a tremendous advantage. I have really felt that F&M has prepared me for my graduate degree,” said Loh, who received a master’s degree in higher education administration. At the Alumni Celebration at the Ann & Richard Barshinger Center for Musical Arts in Hensel Hall, Board Chair Susan L. Washburn ’73 welcomed the crowd to honor six alumni with awards. The event included the presentation of the Alumni Association awards. 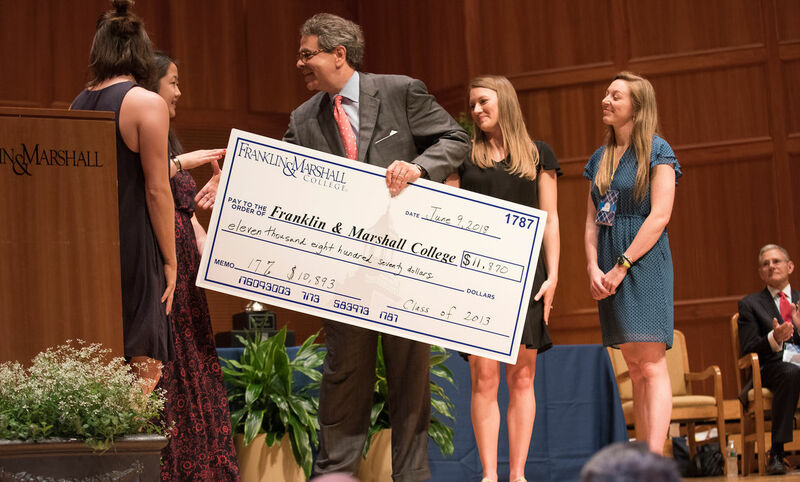 Reed Armstrong ’11 and Alysse Vaccaro Szur ’11 received the GOLD Award, and Laurence D. Carlin ’93, Dr. Lewis J. Kaplan ’84, and Dr. Barbara Jean Marston ’83 all received Alumni Citations for their achievements in their careers and for their leadership and service to F&M. Brett S. Harwood ’71 received the Alumni Medal after 10 years of service as an F&M trustee. 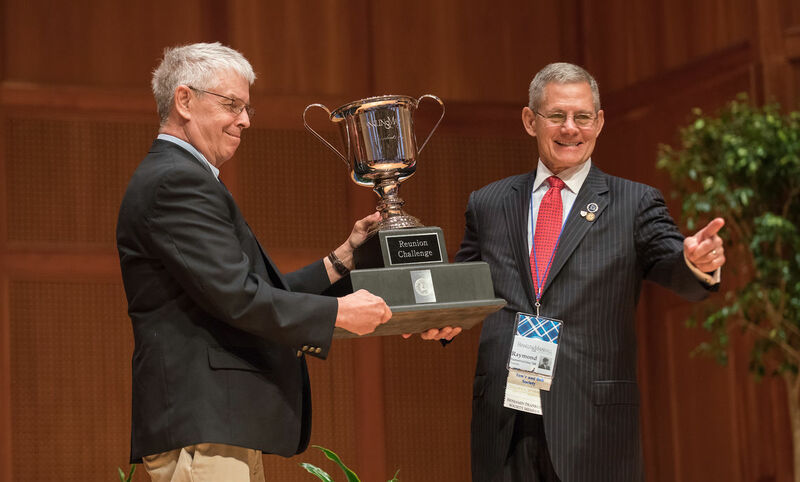 The President's Cup, awarded to the class with the highest alumni participation rate, went to the Class of 1968, with a rate of 42 percent and 137 gifts totaling $1,785,365. Raymond A. Sanseverino ’68 invited other classes to beat his class in future years. 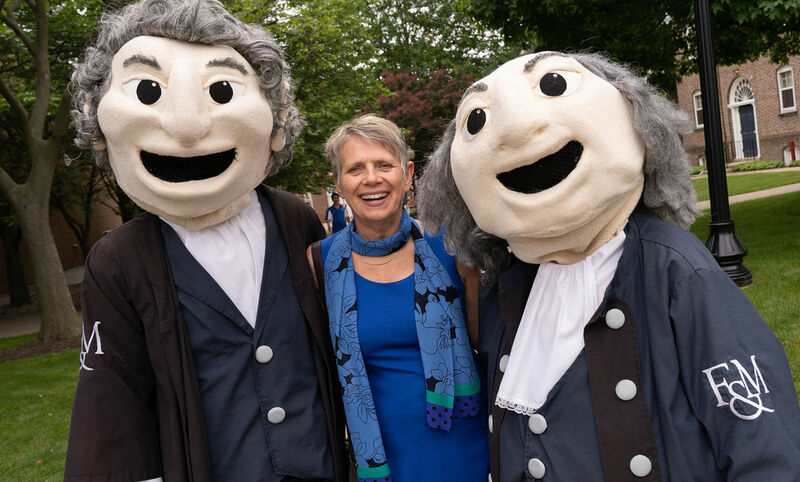 Spirits remained high throughout the day as guests enjoyed a picnic on Hartman Green, complete with live music, ice cream, and F&M mascots Ben and John posing for photos. 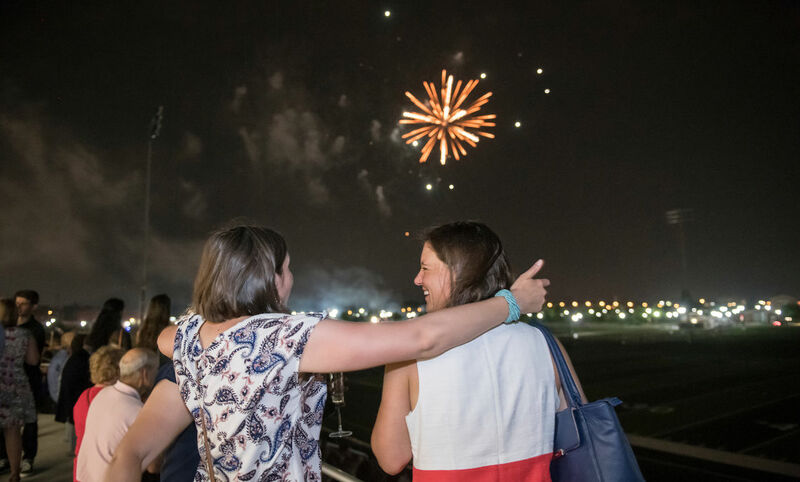 The fun continued with the Blue & White Bash at the Alumni Sports & Fitness Center, and alumni were treated to fireworks at the end of the night. 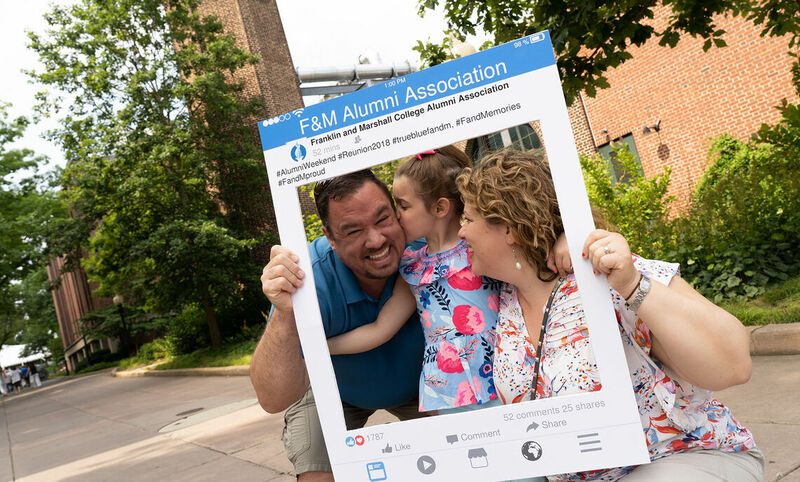 All alumni are invited to return to campus October 26 through 28 for True Blue Weekend to participate in Homecoming and Family Weekend activities, the first with Altmann as president, and celebrate the launch of F&M’s largest comprehensive capital campaign. “We need every single person to contribute whatever he or she or they can offer,” Altmann said.